Hollywood Moms of boys about the age of 4, call your agents! 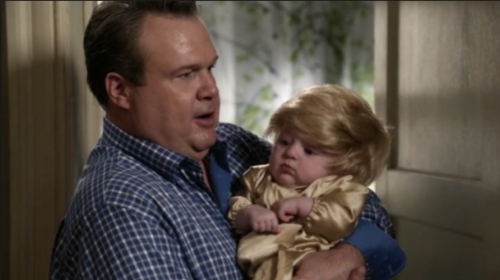 ABC’s Modern Family is recasting the series regular role of baby Joe Pritchett with a slightly older child actor. The role of Joe has been played for the last two seasons by Pierce Wallace. Modern Family reps have thus far declined to comment, but TVLine is reporting that producers are actively searching for a 4-year-old actor to portray Jay and Gloria’s newly “rough and tumble” son. Modern Family producers did the same thing with the character of Lily in Season 3, who was played by twins (Ella and Jaden Hiller) and then replaced with Aubrey Anderson-Emmons. Bye Baby Joe – we loved your hilarious hair moments on the show. Critically lauded for revitalizing the television sitcom, “Modern Family” is also quickly cementing itself as a culturally defining series. 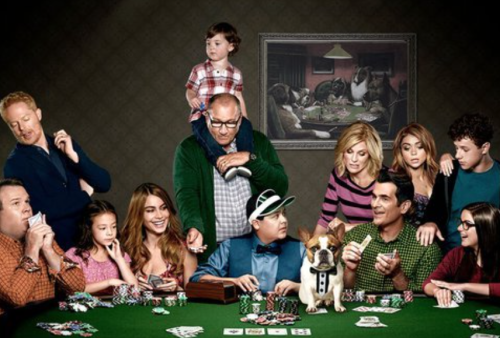 The recipient of four consecutive Emmy Awards for Outstanding Comedy Series and a Golden Globe Award for Best Comedy Television Series, “Modern Family” returns to the ABC Television Network for its fifth season.